SAVE NOW! 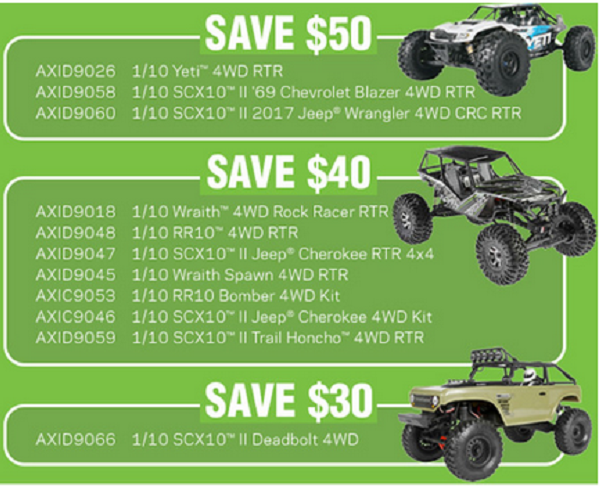 Present this coupon when you buy an eligible Axial® vehicle at any participating retailer. Offer* ends November 30, 2018. *Offer expires 11/30/2018 at 11:59 PM CDT. Coupon or code usage is limited to a one-time use only. For in-store purchases, coupon must be surrendered at time of purchase. To receive the instant savings, you must purchase a new eligible product (eligibility requirements below). Discount will be applied to subtotal at checkout and is not applicable to gift certificates, gift wrapping, shipping fees, oversized charges, or taxes. No adjustment of previous purchases. This offer is not available on discounted or backorder items. Void where prohibited. May not be valid with other offers. This offer is available only to US and Canada residents over the age of 18. 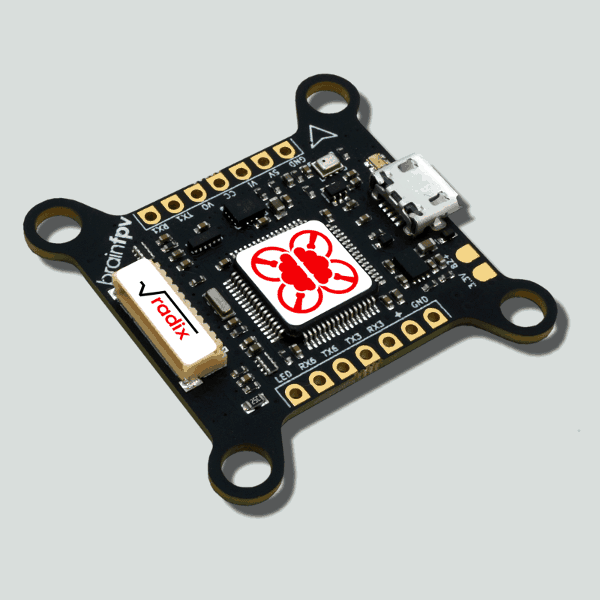 Employees of Horizon Hobby, LLC or its affiliated companies, members of their immediate families, and individuals living in the same households are not eligible to receive this discount. Prices, availability, and specifications are subject to change without notice. Coupon cash value 1/100th of 1 cent. 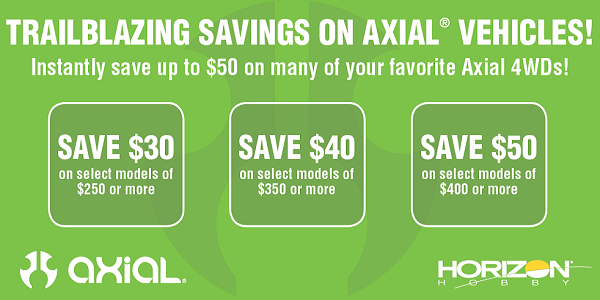 Only the following Axial® vehicles are eligible for savings.